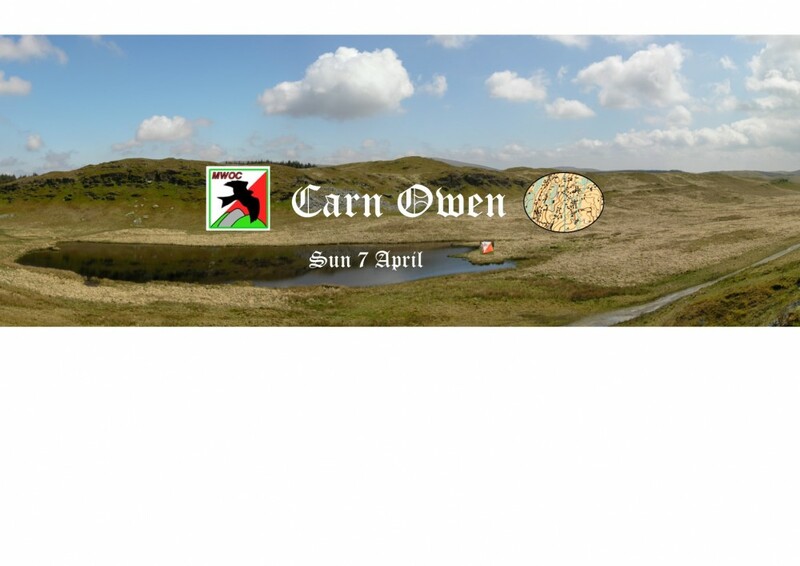 This event is organised by Mid Wales Orienteering Club. It is open to everyone, so come and give orienteering a go and see if you can find your way around the checkpoints. Carn Owen is a great site for adventure with lots of nooks and crannies amongst the rock outcrops on the hillside with fabulous views towards Nant y Moch and the coast. Ideal for all ages and abilities, with a range of courses to choose from, for runners, walkers and also for families with children! The yellow (1.6km with 70m climb)and orange(2.0 km with 80m climb) courses stick to the lower slopes and are ideal for beginners and improvers. Please do ask at registration if you would like any help and advice re which course to do. Its our fourth event of the year and a chance to gain some points in the MWOC league tables. The great views on a sunny day also mean it can be really exposed on a windy and wet one so please come prepared whatever the weather and bring a whistle. mean it can be really exposed in Weather can be very variable. The farmer will not have sheep on the area and so dogs that are under full control will be allowed. You are welcome to come along to three events before joining the club which will give you reduced entry fees, insurance cover and additional membership benefits. You can join at the event or via the British Orienteering website on this link. Dogs under control are welcome - the farmer is not planning to have any sheep on the area. No toilets at the event - public toilets available in Talybont or Ponterwyd. It is an area of contrast. Carn Owen is a significant hill that is very rocky in places and has a few steep slopes as well as a gentler side. It has been mined for minerals in the past and displays two large quarry faces where rock was taken for constructing the nearby Nant Y Moch dam. The rest of the area is a significant contrast of much more rolling terrain with many smaller rock faces. The small lake was created to provide the impermeable core of the dam.